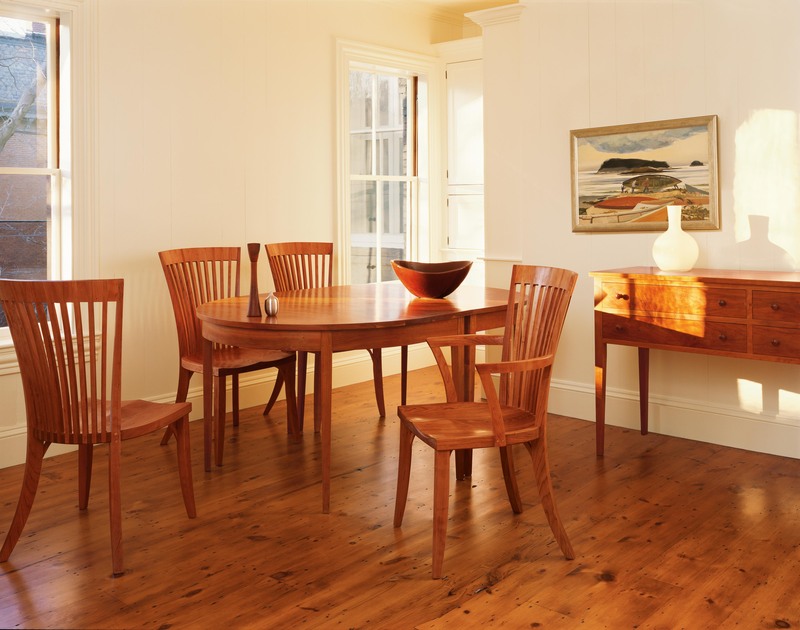 The Hawthorne Arm Chair takes the fundamentals of the English Windsor Chair in an entirely new direction, incorporating box frame architecture that implements square legs both front and back and eliminates the need for structural side rails. The rear legs rise from floor to crest, while its front legs meet the seat in a tenon joint, consistent with the Windsor tradition. 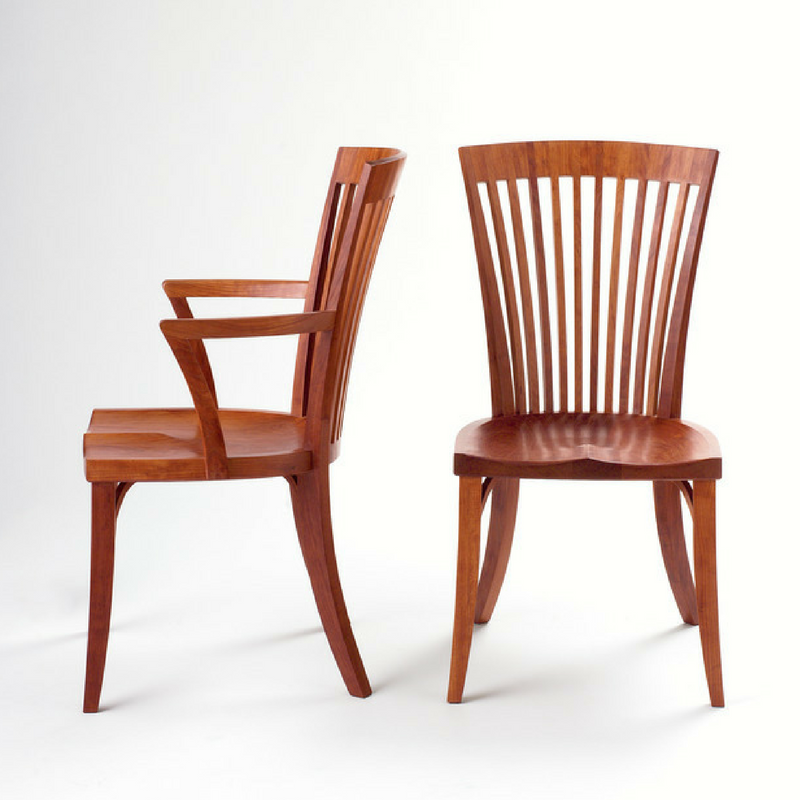 Like its construction, the chair’s profile is substantial, with twelve solid back spindles that are connected by individual pieces of wood to create a durable, visually arresting top crest. Few traditional designs have given us more inspiration than the English Windsor Chair – and the Hawthorne Arm Chair offers another unique evolution of the form. Made to combine Windsor elements with box frame architecture, the Hawthorne Arm Chair’s square legs rise from floor to crest in the back, and from floor to seat in the front, where they’re secured by tenon joints. In place of spreaders, the chair’s legs are secured by hardwood knees, which create a sense of lightness that contrasts beautifully with its substantial seat and back. The top crest of the Hawthorne Arm Chair is unique. Square spindles are connected using individual blocks of cherry along the top, rather than a single piece of wood. This is done in such a way that obviates the need for a solid top rail. Patterned like the teeth of a comb, the fan of the spindles lends the sitter truly comfortable and hardy support, be it for a long dinner conversation or a day at the desk. The Hawthorne Arm Chair’s wide seat is carved to cradle the sitter and is attached to the tapered front legs using curved braces we call “knees.” Unique half-lap joints attach the back spindles to the seat and provide both visual interest and enduring strength. 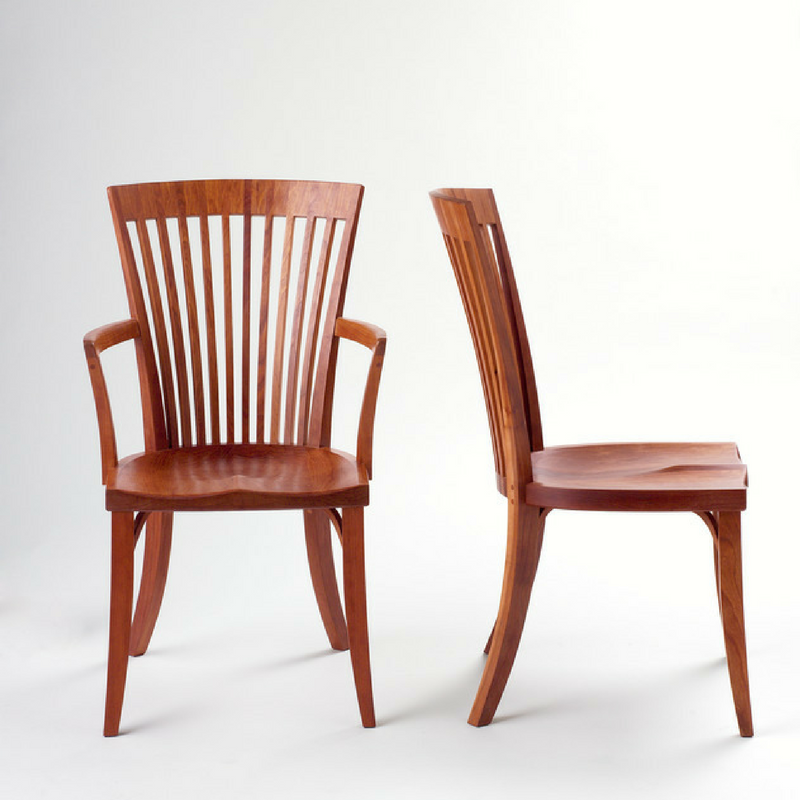 The Arm Chair has hand-polished arms and struts that curve in to provide arm support. Like many chairs in our portfolio, the Hawthorne Arm Chair pairs well with any table, in any setting, whether contemporary or traditional.